"Music is a mysterious mathematical process whose elements are part of Infinity." "First of all, ladies and gentlemen, you must forget that you are singers." "It is necessary to abandon yourself completely, and let the music do as it will with you." On the 29th of September, Pace's latest work the 'Imdina Suite' for solo guitar was premiered at the Stone Hall, Musikverein to a full house. Pace's latest work the ‘Imdina Suite' for solo guitar shall be premiered by the international guitarist Dr. Johanna Beisteiner at the Musikverein in Vienna, Austria on the 29th of September. This is the second time that Pace will be collaborating with Dr. Beisteiner. In January 2017 Beisteiner premiered Pace's Concertino for Guitar and Harpsichord during the Valletta International Baroque Festival. This concert is made possible by the Cultural Diplomacy Fund administered by the Ministry for Foreign Affairs and Trade Promotion. Last month on the 19th Pace was invited by the Belarusian Union of Composers to give a presentation about classical music in Malta in general with particular focus on Pace's projects and the European Capital of Culture 2018, Valletta. The presentation was then translated to Belarusian and transmitted over the state radio. Pace has launched the official events for Hearing Orpheus Today 2018. 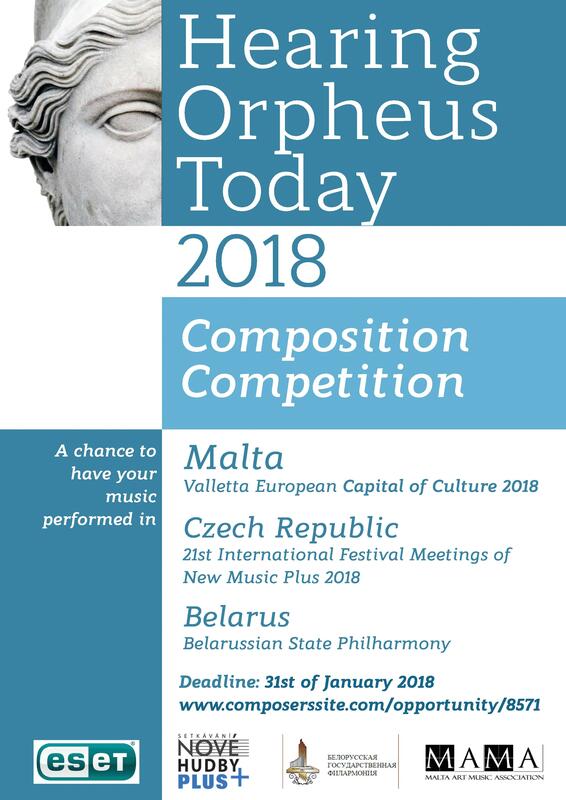 In 2018 the Hearing Orpheus Today concert shall be held in 3 countries – in Valleta , Malta (European Capital of Culture 2018) on the 13th of April, in Minsk, Belarus on the 25th of May 2018 and in Brno, Czek Republic in Autum 2018. Pace launches the Project "City of Humanity"
This month Pace officially launched the project "City of Humanity". This is a large project being done in collaboration with the Ministry of Education and Employment as well as the Ministry for Justice, Culture and the Local Councils. Visit the offical site www.cityofhumanity.org for further details. Pace started his musical career at the age of eight at the St. Nicholas' Band club in his native village of Siggiewi, Malta. Here he learnt solveggio along with performing on the Baritone in B flat. At the age of twelve he took up classical guitar studies mainly with Ms. Charlotte Smith and soon after he started taking music theory classes with fellow Maltese composer Anthony Bonello. In 1992 he started a 3-year Bachelor of Arts in Music and Communication studies at the University of Malta graduating in 1995. At the same time he took private tuition in harmony and counterpoint with Mro. Lorry Borg and conducting with veteran Maltese conductor Mro. Joseph Sammut. Subsequently he sat for a Post-Graduate Certificate in Education at the same University of Malta graduating in 1996. He immediately took up employment as a music teacher in a government secondary school. So far Pace had mainly concentrated on guitar performance but on the insistence of veteran Maltese composer Charles Camilleri (1931-2009) he started experimenting with composition, his first performed piece being Romance (1997) originally for piano and violin but first performed as a band arrangement. At his teaching workplace he collaborated with Maltese soprano Marita Bezzina who nurtured in him a special love for the human voice. In September 2000 Pace left Malta and went to sit for a Master of Arts in Composition and Music Technology at the University of Bangor, Bangor, Wales. During his stay there he composed a number of pieces most of which were performed. This included his first string quartet Me, Myself and Something Else (2001) which was performed during the second Bangor New Music Festival by the Duke String Quartet. Pace graduated with a Master of Arts in 2003 but kept in regular contact with Bangor University in fact his work 'Gahwra' was performed by Ensemble Cymru in the Bangor New Music Festival of 2004. When Pace returned to Malta in 2001 he took up a freelance job of publishing manager with Bookwrite Ltd., a local company which at the time focused on music educational material. This job ended in 2010 when Pace took up his music teaching job again. In the meanwhile in 2008 he started also working as a part-time lecturer at the University of Malta. In 2004 Pace started a part time Phd in composition at the same University of Bangor. During his Phd he concentrated on developing a unique method of developing musical material – morphing. He continues to develop this technique throughout his career, giving his works a unique character. For his Phd portfolio Pace presented a selection of works which show this technique gradually developing, starting with Wahdu (2004) for solo cello and ending with the Missa Brevis (2010) for double choir solo soprano and solo tenor a capella. Waiting for Godot(2007), inspired by the play with the same name by Samuel Becket (1906-1989), (and also included in his Phd portfolio) was performed in Cardiff by the BBC National Orchestra of Wales. Pace graduated with a Phd in 2012. 2013 was an important year for Pace as in this year he took up full time freelance composing (which he does till the present day). In 2014 he single handedly composed, produced and conducted the first ever Maltese multi-media opera Il-Kantilena which is based on the oldest poem in Maltese which goes by the same name. This work was premiered at the Manoel Theatre, one of Europe's oldest functioning theatres and was commissioned for the occasion of the fortieth anniversary of Malta being a Republic. At the beginning of 2015 another major work by Pace , this time commissioned by the Malta Philharmonic Orchestra, The Everlink was performed several times at the Eden Century Cinemas in St.Julians. Later on that year he composed and produced his first oratorio Versus.The text of this work is based on 800 poems by school children which Pace collected from all over Malta and Gozo. It was premiered by the Estonian choir Collegium Musicale at the Mdina Cathedral as part of the Imdina Biennale Arts Festival. In January 2017 his Concertino for Guitar and Harpsichord (2016) was premiered at the Valletta International Baroque Festival. 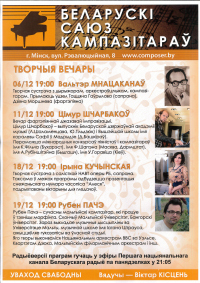 It was the first time ever a Maltese composer has been included in this festival. 2018 was another important year for Pace. In September his work for solo guitar Mdina Suite was premiered at the prestigious Musikverein in Vienna , Austria by Austrian International classical guitarist Johanna Beisteiner. In November of the same year the first opera Swar (fortifications – on a libretto by Gorg Peresso) from the first ever Maltese opera cycle City of Humanity was premiered to great acclaim at the Republic Hall in Valletta, Malta. The opera received outstanding reviews in several journals including the Opera magazine, based in London. Currently Pace is working on the second opera in the cycle by the name of The Island Fortress. The libretto is by Gorg Peresso and Amy Borg ( a young upcomig author) an is se tin Malta in World War 2. City of Humanity (which also has a strong educational aspect to it) is only one of several projects initiated by Pace. Another international project Pace has started is Hearing Orpheus Today which consists of a series of chamber music concerts concentrating on new works by living composers. His music is performed regularly in Malta as well as in the UK by Ensemble Cymru, the BBC National Orchestra of Wales, by Painting Music , and the Duke String Quartet. He has also had performances in St.Petersburg and Moscow, Russia , in Rome, in Rhodes Greece, Vienna, Brno Czeck Republic and in Minsk Belarus. Some of his scores have been included in the prestigious Schumanhauss museum in Bonn, Germany.